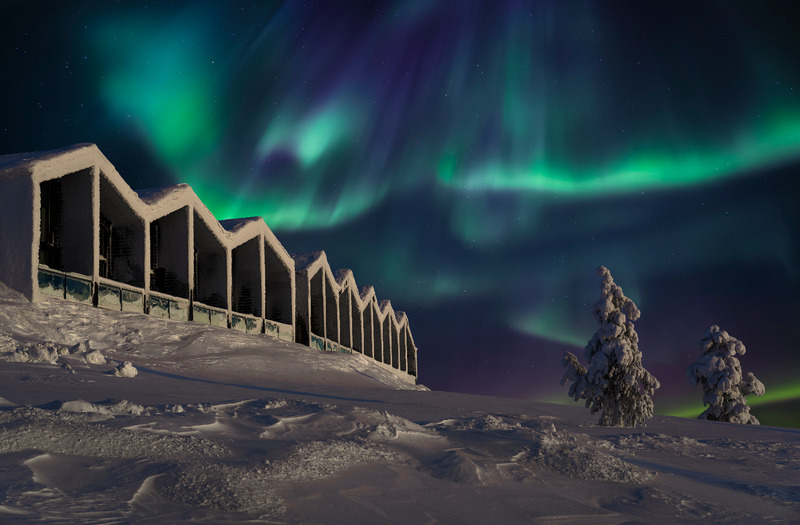 Located at the top of the fell in Saariselkä, this modern and elegant hotel is the perfect spot to view the Northern Lights from the comfort of your accommodation. 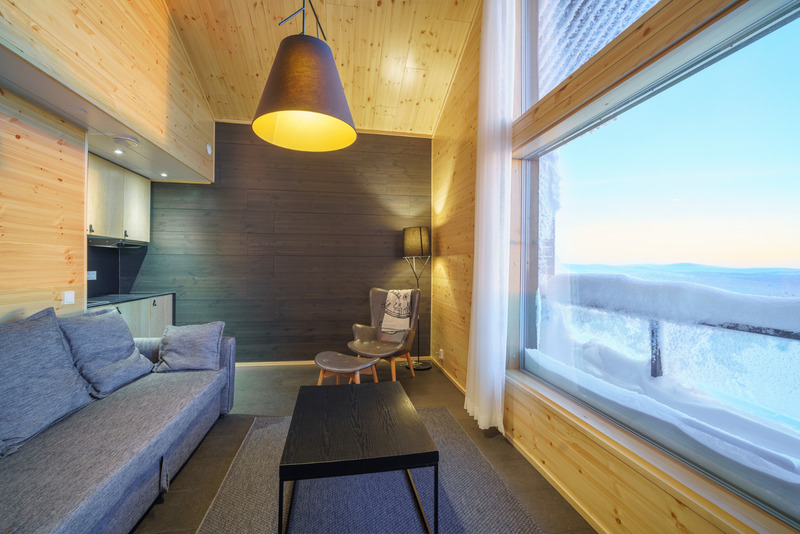 All Type A and some Type C suites are duplex with a large glass window looking out over the main village. 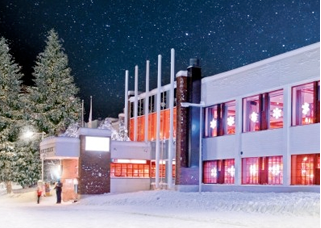 With high standard accommodation and modern elegance this hotel is be perfect for families who want to experience Lapland in style. 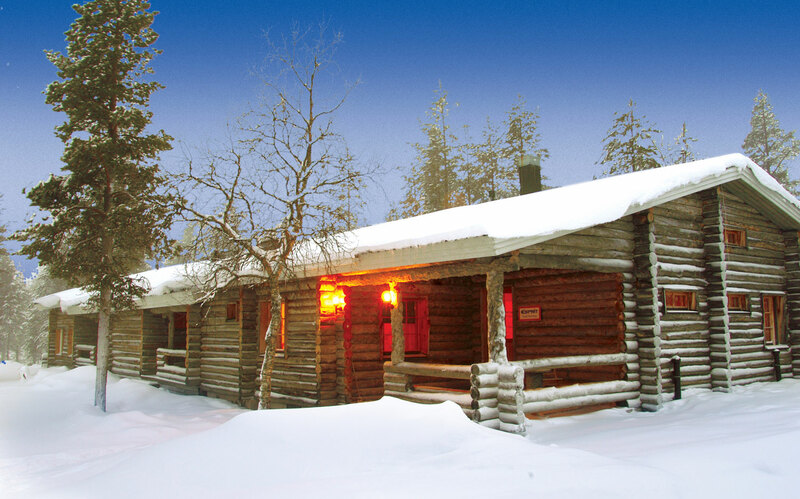 You even have the option to stay in a Glass Cabin! 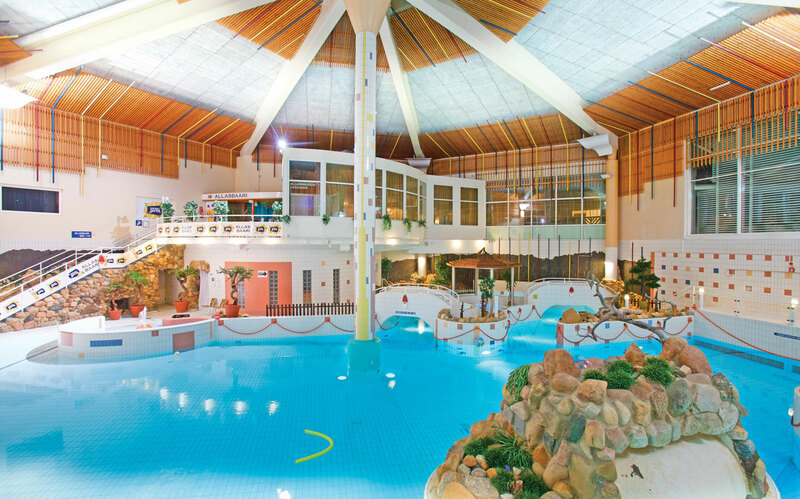 The main building houses the reception and restaurant, whilst all bedrooms are located just a short walk away. 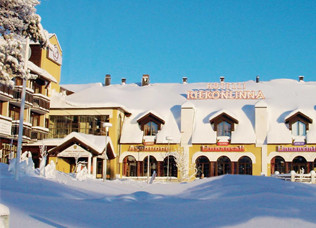 The toboggan run and a separate viewing station for the Northern Lights are just minutes away.The hotel is situated approximately 1.5km from the main village which can be reached by the ski bus but there is a souvenir shop at the top of the ski hill. 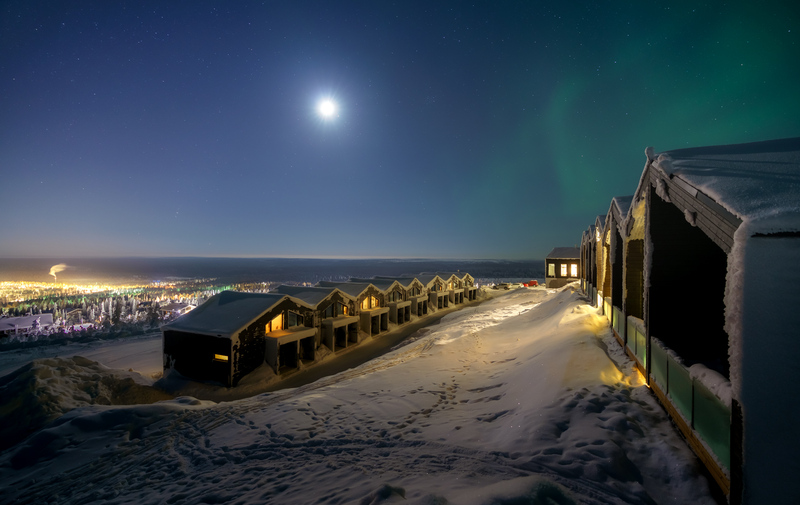 Type A Scenic View Suites, sleep 2-4 - Twin or double bed on the upper floor (and windows facing north for the Northern Lights) and a sofa-bed for up to 2 children on the lower floor (with a large window facing south). 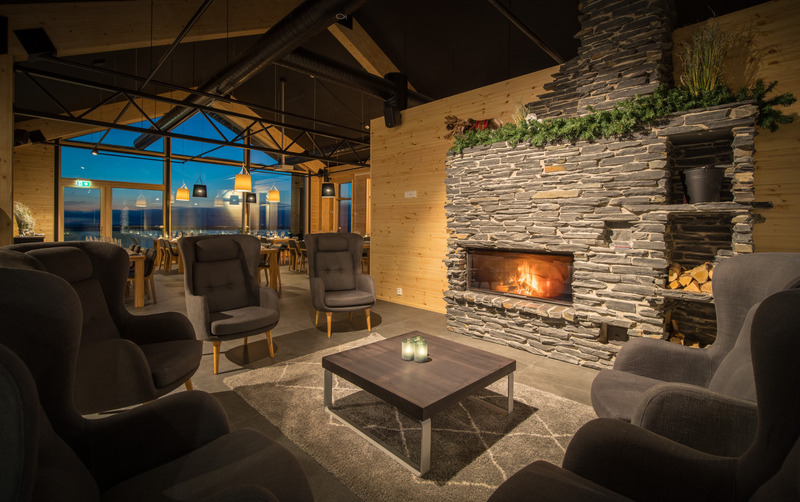 The lounge picture window overlooks the forest and Saariselkä in the distance. 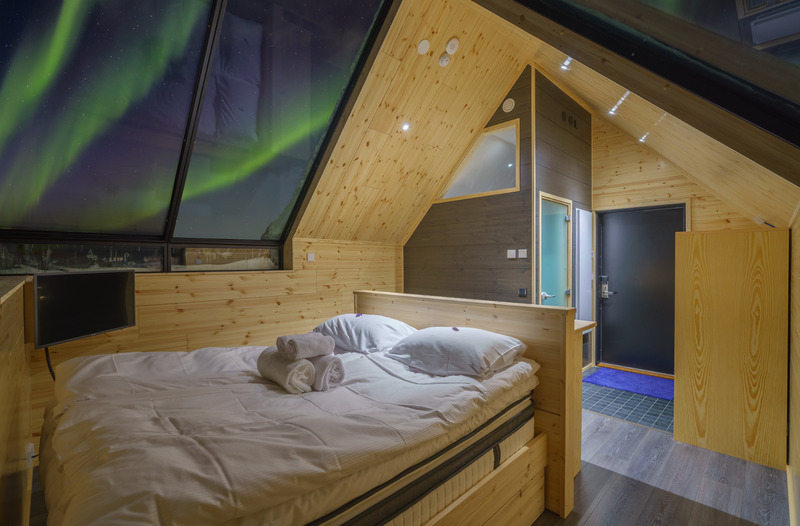 Type B Glass Cabins, sleep 2-4 - Double bed and 2 small beds suitable for children under 13 that are located each side of the double and located under an innovative glass cabin for viewing the night sky and the Northern Lights. 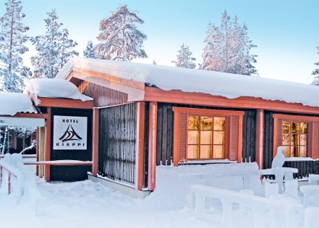 Type C Scenic View Suites, sleep 2-4- Large suites which include private sauna, small kitchenette with dining table and chairs, and twin beds and double sofa-bed. 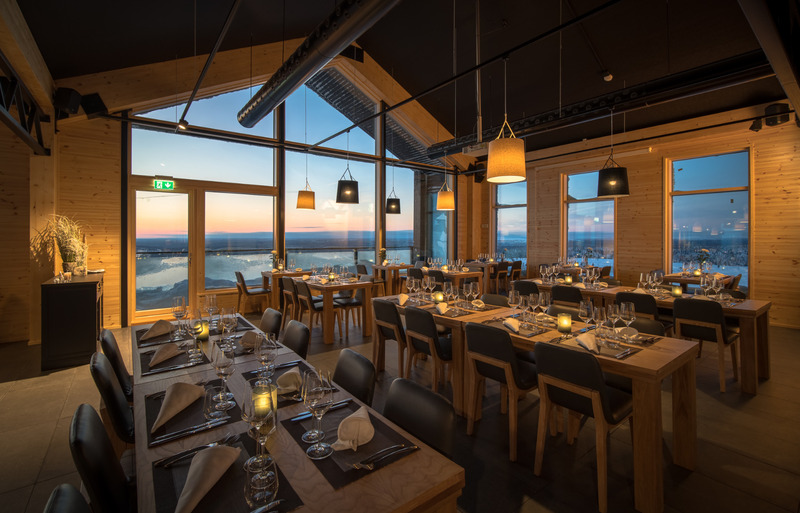 The large picture windows have fantastic views over the forest and the twinkling lights of Saariselkä in the distance. 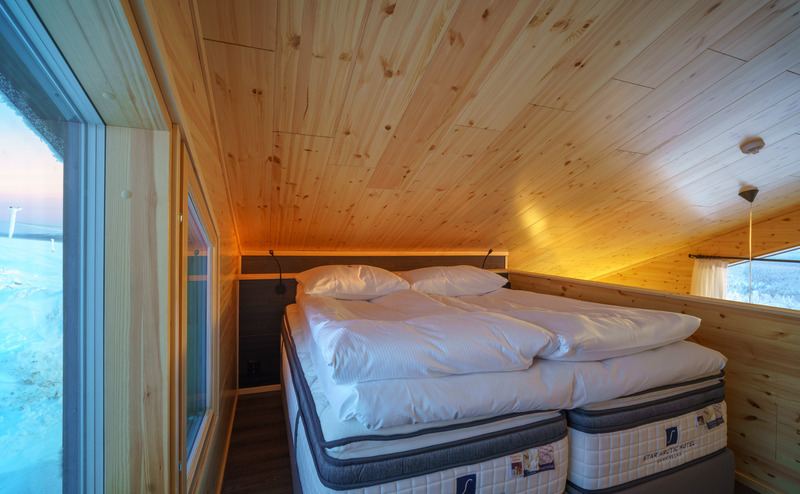 The sofa bed is larger than the type A rooms and can sleep 2 adults. 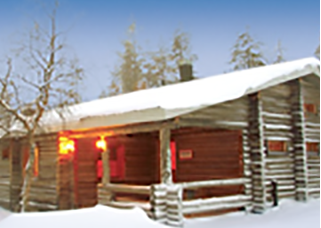 Type C Scenic View Suites, sleep 4-5 - Some scenic suites have an put-up bed for a child aged 11 or under. 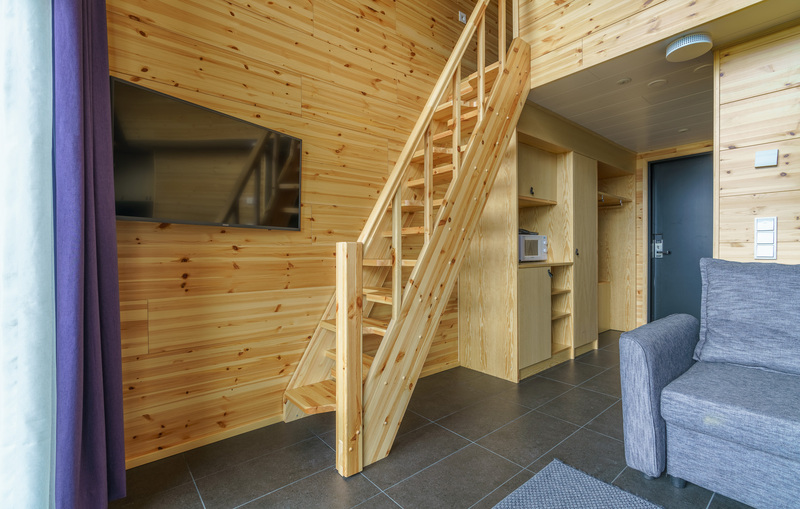 All rooms have shower, WC, hairdryer, flat screen TV, minibar, tea and coffee making facilities, safety deposit box and free WiFi.